It appears that it has to do with the security plugin and I think it's working now. I am not sure 100% sure. The reason I need this fixed is that when I did an SEO audit, the h1 tags in the theme are not showing up as h1. I would like to change the size of the h1, h2 and h3 tags etc. They are too large in wordpress. Do you have any suggestions on how I can ensure that my h1 tag is showing up? Is the h1 tag in X theme the title? How can I adjust the size of the h1, h2, h3 etc. tags? The page titles and post titles were displayed using h1 tags. In your pages using the other page builder might not be using heading tags so please check that. Thank you but unfortunately it is not working. The other page builders will not affect it as many other are using them as well and they are common for wordpress themes. It seems it may have to do with the .htaccess file that got some code injected by an old security plugin called Bulletproof. Would you be able to send me a new .htaccess file that I can try instead? Sorry.. It took a while to hear back from support and I was able to figure it out myself and had to make some changes. I already informed that it had to do with htaccess file so asking for my login info is irrelevant and would not be helpful. Please advise and provide a htaccess file. I generated one myself by deleting it and having wordpress generate another one but please advise as per my earlier request. However, I am still having issues with the fact that the Appearance Editor is not showing up for some reason to allow me to edit the Child Theme? I need to change the h1 and h2 tags so they don't default to the Site Title and "The Blog" respectively. How do I fix that? As a result, all the h1 tags and all the h2 tags are exactly the same. This is a huge issue and affecting my SEO ever since I changed themes. I thought this theme was SEO friendly? It should be fixed! Why is my theme editor now showing up. I double checked the wp-config.php files and it definitely has it so it reads: ('DISALLOW_FILE_EDIT', false); so that I should be able to edit. 2) how to fix the h1 and h2 tags so that h1 is being directed back to the actual blog post title and h2 to the actual h2 in the blog content. I am not sure if h3, h4 etc. and the other h tags also need to be fixed so please advise. I totally understand that you are doing your best to fix the issue you are experiencing. I just want to mention that we have exactly the same goal, the problem is that the issue you are experiencing regarding the htaccess is indeed not related to our product and whatever we suggest will not be inside our expertise scope, that is why I strongly suggest that you consult with your hosting service provider and if they are not cooperating you need to consider changing your server. Powered by Apex, a community of over 100,000 creative professionals, compare the best WordPress hosting plans for your site and business. 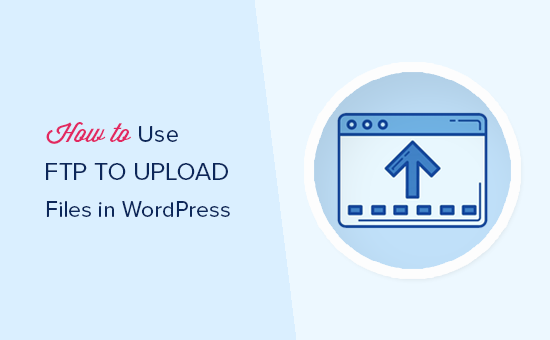 Looking to learn how to use FTP to upload files on your WordPress website? Here's a step by step FTP guide + video that will show you how to use FTP. The example above considers that the Integrity stack is used. If you want to have more control over the details of the SEO aspect of your website I suggest that you use a 3rd party plugin such as Yoast. Fi the redirection issue I am not sure what you want to achieve. Please elaborate more and give details to your website as my colleague asked so that we can see the case better to be able to help. Finally, kindly open up new threads for additional questions as it will help us to focus on each issue and give you a better support which you deserve. Having a long threads makes the maintaining job harder and also it will be harder for the other customers to find the correct information if they have similar issues. You are always welcomed to reply to this thread to follow up the same question. There seems to be some misunderstanding in your response. Unfortunately, your answer above did not address my issues and looks like you may have not understood the question. Kindly re-read my questions again. I am already using Yoast the plugin and am aware of how to use it. I already addressed the htaccess portion prior to your response. I was able to generate an htaccess file on my own which hopefully is the correct one and wanted to double check with support. My question was whether the theme had its own htaccess to which you did not respond to (I did not need the standard one from Wordpress as I already have that). I was able to generate a new htaccess and wanted some direction if it was the correct one. It does not appear that you are able to answer that question? I still need answers to my original questions which have not been responded to. You answered about how to add title, categories etc but that was not my question. 1) My Appearance Editor is not showing up in the theme. How do we make it appear so I can edit? Your response "Regarding the Appearance > Editor some hosting service providers indeed block the functionality to change the content of the files using PHP language which what that section does" is not accurate. The hosting company did not do anything with respect to blocking the appearance editor as it was working just fine with other themes and prior to my installation of the X theme. 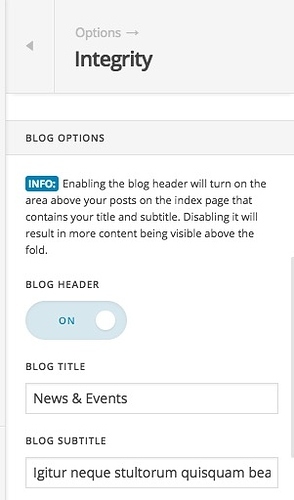 2) Your h1 tag is pointing to the site title as opposed to the title of the blog post. How do I change that? 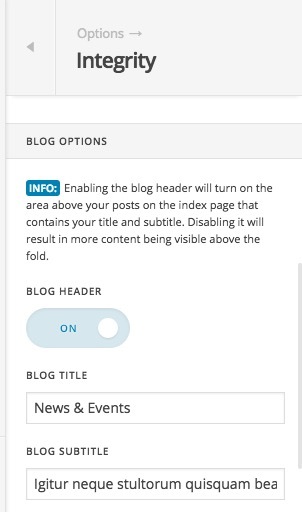 I am adding the h1, h2 and other h tags in Yoast but the X theme is not specifying the h1 tag as the title of the blog post and it is not mapping the h2 tag as what is specified in the blog post. In addition, your h2 tag of the theme is pointing to "The Blog" instead of to a h2 tag that I may specify in my blog content. 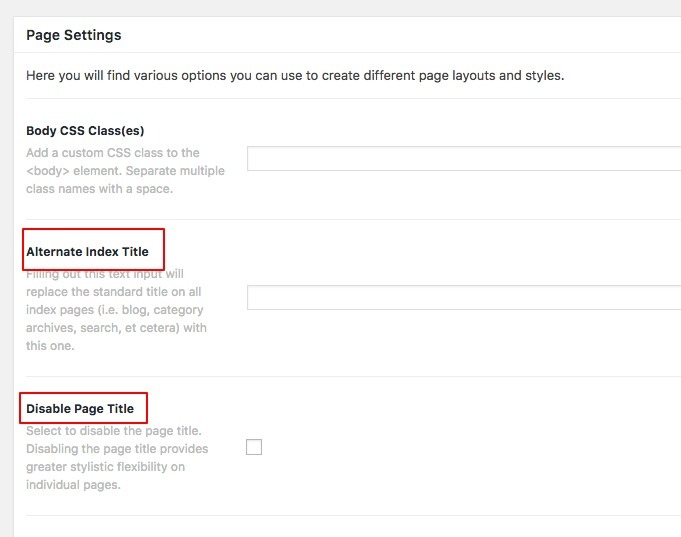 This is extremely important for SEO and your theme default to it's own h1 and h2 rather than allowing us to to point the h1 and h2 and other h tags to the content in our blog. Given that the theme was advertised to be SEO friendly, I am surprised that this has not been addressed and should be fixed immediately for everyone. In the article above, you will note that it is important to specify the h1 tag and his is normally the title of the blog post. When I did an SEO audit, the X theme does not do that. So, please advise how to fix that. 1- No, the theme doesn't have specific rules to be added in the .htaccess file, so it's totally fine to keep the default WordPress rules only in that file. 2- Please check the link I added in the Secure Note to my reply, if this is your website link, then I can see <h1> tag is used only for the Blog Post title (see the screenshot in the secure note as well). That's why I'm confused about your question regarding that. What is the problem exactly you are getting in Yoast? any screenshots? In the reference you provided, it mentioned "Usually, the h1 tag will be the title of your blog post or article." and that's exactly what we are doing in X theme. 3- The theme can't affect the behavior of Appearance > Editor in WordPress, to double check that, you can switch to the default WordPress theme temporary and recheck this issue. Thank so much @Alaa. I am noticing the same issue. The X Theme shows the H1 tag as the title when I inspect code but when I do an SEO Audit, it shows the h1 tag as something else. I did an audit for seo for h1 and h2 tags. In that tool, it is not recognizing any of the blog post titles as h1. I am including a screen shot in a private secure note for you. I think I found what may be causing the issue in the X Theme. An SEO Audit found that the h1 tags in the X theme are pointing to "Entcounsel" and not the site title at all. As a result all the h1 tags on all my blog posts are being overrided by this second additional h1 tag and this is why the SEO audit shows all my h1 tags as Entcounsel and not the blog title. It is doing similar things for the h tags. Kindly advise how to fix this asap. First, you need to copy _brand.php file from /wp-content/themes/x/framework/legacy/cranium/headers/views/global/. Next, paste the file you copied into /wp-content/themes/x-child/framework/legacy/cranium/headers/views/global/. Please note that you will have to create folders in the same order inside child theme. Thanks @Alaa so will this correct it so there is only one h1 tag and will now direct to the post title? I just tried what you suggested but unfortunately, it did not work. The SEO audit for the blog post is still showing the site title, Entcounsel, as the h1 tag instead of the blog title. Also, how do I do this for h2 and the other tags? Yes, that will correct the issue with h1 tags. As for other headings, it's totally fine to add multiple h2, h3 and h4 as long as there are contents in between. But if you want to have just one for each heading level, you just need to monitor your contents and check if the heading level is existing already. You can check using google chrome inspect element. It appears that you may not have completely read my reply above. I wrote back to you above that I had tried what you suggested and it did not work. I am familiar with inspect element and that is how I discovered the errors with the X theme in the first place. I would like a solution to this issues as other themes have been able to address the errors with h1 going to site name instead of post title (as there are more than one 1 h1). Also need to fix the other h tags. We're sorry for the confusion. I've read the whole thread but please forgive me if I miss a thing. As far as I understand, there are multiple h1s in your single post (see Secure Note below) and your SEO tool and articles you showed us say that having multiple h1 is bad for SEO. I'm not going to comment about that because the support team is not equipped to discuss about SEO. What we could do is post this to our issue tracker which I'm going to add this thread after I reply because a similar concern was also submitted previously. But, I could tell you the technical side of X and that is it uses HTML 5. And, in HTML 5, multiple h1 is perfectly valid. Please see this article for more details. Also, other sources say it is not bad for SEO. See the links below from other reputable SEO sources so this subject is debatable. The bottom line for the theme is, it must be structurally correct based on what HTML version it is using. Now back to your issue, you already followed what @Alaa suggested here. That solves a part of the problem as it deletes one h1 tag which is the Site Title. The other h1 is in the header landmark and that is what I see in your Screaming Frog screenshot. The file responsible for that is the _landmark-header.php located in x\framework\legacy\cranium\headers\views\renew. Copy the file to your child theme's x-child\framework\views\renew folder and change the h1 tags in under the <?php elseif ( is_home() || is_single() ) : ?> condition. If you noticed, the child theme directory is different from what @Alaa has suggested. X is backwards compatible with the old structure in order not to break the child theme customizations done in the past so using what I suggested will work and it's a few folders deep only. Now what is left is the h1 post title which is what you need. If that does not solve the problem, please give us FTP access. Regarding the sizes, I see that you have a separate thread for it. Let us keep the topic in there to avoid confusion. 3) Further, I followed the instructions in your last message and modified the _landmark-header.php in the renew folder and it worked on some of the h1 tags but not all. I only changed the h1 tag to h2 tag in the two spots mentioned in your instructions. Am I to do that anywhere else? You can see where I did so in the screenshot. I only changed line 46 and 50 and changed from h1 to h2. Do I do this anywhere else? Please see here: https://cl.ly/qv67. 1) The h2 tags are still pointing to "The Blog" for all h2 instead of the h2's on the site. How do I fix all the h2 tags to point to the actual h2 and not a default for "The Blog". How do I fix all the other h tags? 2) I want to do the same for all of the h tags so kindly provide instructions for those as well. 3) Would you please provide another screen shot showing all the changes and what they should be changed to in red just to make sure it is done correctly? You can see that not all h1 were changed and the h2 was not changed at all. This needs to be fixed still. Further, the other h tags also need to be fixed please advise. So now if you change that to h3 the tool you are using will say h3 is The Blog. So if you do not want that then you need to get rid of The Blog altogether. To do that you can simply delete the parts in the Child Theme which you changed to h2. 2) What do you mean the same? Our theme does not generate automatic code for other heading tags. Please be more specific here and give an exact case that you have a problem with another heading tag so we can follow up. Please be more specific on your questions so that we can understand each other and it will help us to help you better. 3) Again you need to be specific on your question. and also please consider that you are using one tool and judging our theme on that which already my colleague mentioned that some of the criteria used there are debated. So we will not be the ones that guarantee a no error mode on that tool. That is a 3rd party tool. Please get back to us with the information needed and we will follow up the case. Thank you @christopher.amirian but kindly re-read my previous post as I was very detailed and very specific. I provided screenshots and videos. Your response does not solve my issues. 1) All the h1 tags are not displaying on the page despite doing what I was asked to do above by @Alaa and @christian_y . I sincerely appreciate their help and it helped somewhat but unfortunately, did not resolve it entirely. So kindly advise who to fix so that all h1 tags and not just some of them are pointing to the blog post title. 2) The h2 tags in the theme are not pointing to the h2 tags specified in the blog post in the X Theme. They are all pointing to something called "The Blog". A customer of a theme should not have to do anything more except add the h2 tag for it to work and unfortunately, when I add an h2 tag, it does not specify the headings in google as the proper h2 tag despite seeing the h2 tags in inspect element. 3) I suspect a similar issue with the h3, h4 and other tags so we should look into this and fix it as well so that the theme is properly directing to the proper tags. 4) I asked for screen shots with red to indicate everything that should be changed just so we are all on the same page. 5) The video provided to me by @christian_y in the secure note is blurry and unreadable so kindly advise what the purpose of that video is and send another one in secure note that is clearer. Perhaps screen shots may be better as they can be enlarged. 6) Further, the tool I used was also discovered by other many other popular tools so this issue is not isolated. I am looking to fix this issue because regardless of what information was provided above on h tags, the bottom line is that the Theme is not displaying h1, h2, h3 and other tags properly when the google search engines are crawling it. You just need to make the changes in following line of code. I notice that the above code had it wrapped as h1 and then ending with a h2. So I changed the first h1 to a h2 and not sure if that was the right thing to do or not so kindly confirm. Seemed to be an error with the code in X theme. I respectfully ask that since @christian_y has been the most helpful and able to resolve many of the issues, that he continue to troubleshoot and help fix the remaining issues. It has been more than 24 hours and still no response after waiting days just to get bits and pieces of it solved. There should be a mechanism to have things put in priority when support gives you vague responses that do not address your concerns/questions. We could not tell the solution for this yet as this is just an assumption for now. We need specific details for us to give a solution. With that said, I'd recommend that since the topic in this thread is already mixed up and confusing, you break down the remaining issues separate threads so we could focus on one thing at a time. If you don't reply to this thread, it will be closed automatically after 10 days.